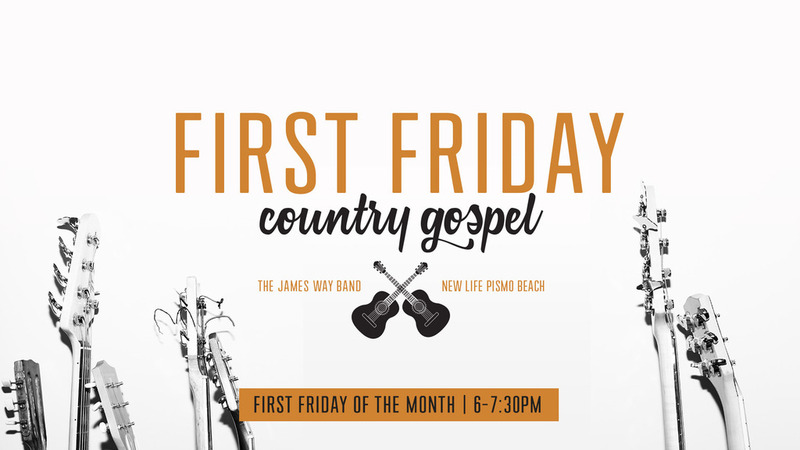 Join us on the first Friday of each month from 6 to 7:30pm for an exciting country gospel concert featuring The James Way Band. Each month has a unique musical theme but is always a good time! AUDITORIUM DOORS OPEN AT 5:30PM. Be sure to stick around after the concert for some delicious dessert!